At Auto Glass Warehouse, we want to make sure you can keep your equipment in driving ready condition. With most companies that have big vehicles, they have many employees operating them every day. Having that many trucks and other heavy equipment in use increases the probability of windshield damage to your vehicles. When you need construction equipment windshield replacement, our technicians are here to help! Our staff knows you need to get your equipment back in working condition fast. Auto Glass Warehouse offers easy appointment setting, prompt arrival time and work vehicles equip to fully replace your equipment back to working order as fast as possible. We will come to the site your equipment is located at, including but not limited to, construction sites, repair shops and warehouses, and replace the windshield right there back to OEM standards. Each replacement will be done with precision and expertise to ensure that the replacement is to your complete satisfaction and working order. 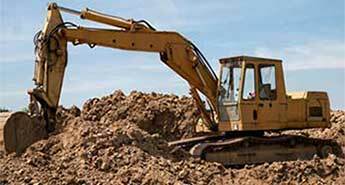 Sometimes, construction Equipment and other heavy machinery have specialty glass in them. Auto Glass Warehouse has the resources to order custom glass for construction equipment windshield replacement for many vehicles. Please be aware that some specialty glass orders can take more than the normal 1 – 2 days to be received. We also have the ability to cut custom glass on site for some vehicles such as CAT front loaders. Although more difficult, be assured that we have technicians that are highly qualified in all fields of auto glass replacement including construction equipment windshield replacement and repair. If your technician will be cutting your custom glass onsite, they will have all the tools needed on hand. Cutting custom glass is a intricate procedure and can take awhile to do. Please ask your technician for an eta on completing the job. Our technicians are not happy until you are! 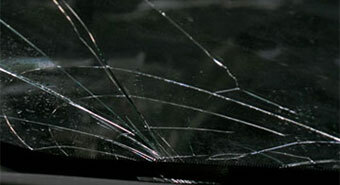 We offer complete customer satisfaction on all our windshield replacements, whether custom or standard glass. If for some reason you are unhappy with your construction equipment windshield replacement for any reason, let us know right away. Our staff will work diligently to rectify the problem as soon as possible.